With less than a month to go for the Indian Premier League (IPL), country’s biggest sporting spectacle, VIVOIPL 2017 is all set to embark on an exciting 16 cities trophy tour with the first leg starting from Chandigarh today dated March 10th 2017. The coveted VIVOIPL 2017 trophy will travel across the nation between 10th and 31st March where ardent cricket loving fans will get a first-hand experience of the IPL trophy. 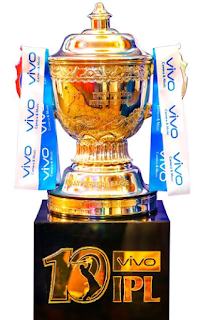 The VIVOIPL 2017 trophy tour will mark its debut from Chandigarh on March 10th before travelling to 15 other cities thus ending its journey in Pune on 31st March. Bollywood celebrities like Archana Vijaya, Surveen Chawla and many others shall grace the tour with their presence and engage audience into exciting activities. This will add to the thrill and excitement of the audience where they will have a delightful opportunity to click selfies with their favorite celebrities. Vivo became the first ever title sponsor to organize the trophy tour last year. It would be a great occasion this year as well for the cricket loving fans to see the trophy from close quarters. Sharing the excitement while announcing the trophy tour, Mr. Vivek Zhang, CMO, Vivo India said, “Vivo is excited to announce the VIVOIPL 2017 trophy tour in 16 cities. The association with IPL last year resulted in a huge brand recall and proved to be extremely fruitful for Vivo.